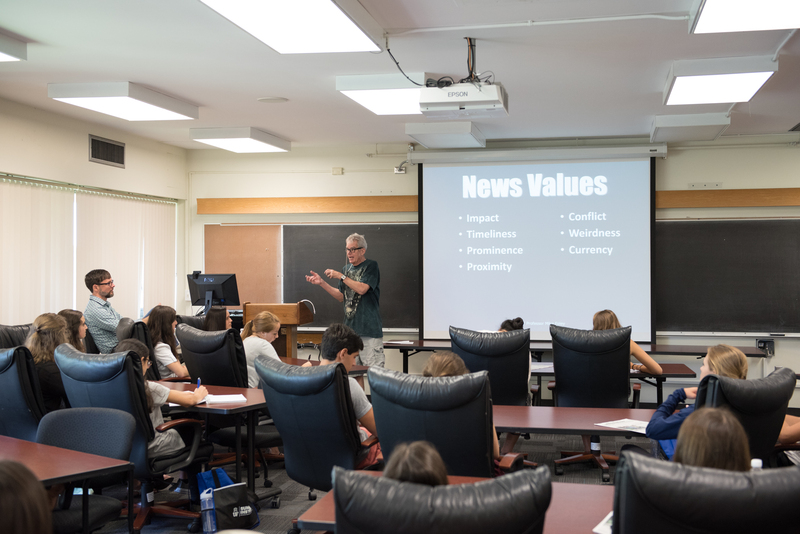 Faculty members in the Department of Journalism are assigned to provide professional/career advising. You are welcome to contact any of them for professional/career advising during their office hours or by email. Academic advising for journalism majors is available in the PATH (1060 Weimer Hall), where professional advisers can assist you and answer your questions about the journalism program, potential graduation dates, graduating with honors, degree checks, etc. It is best to consult the PATH office on university-wide matters, such as degree requirements. Also see the PATH office for initial academic advising; the journalism department chair can also assist in some matters.